With Bookyourdata.com, you can leverage an accurate B2B email list of VPs of purchasing and procurement, so that you can tout your product or service to the professionals who actually make purchasing decisions! This is one of our most sales-focused contact databases. Do you want a major company to purchase your service or product? Why not pull a VP of purchasing email database, full of the C-levels, chiefs, and vice presidents who actually make those decisions, and make sales on a grander scale? When a VP of procurement decides to choose you as a vendor or contractor, your services may be used across their whole company. Distribute information to these senior executives of purchasing in multiple ways using this chief purchasing officer mailing list: via direct mail, phone, or B2B email marketing. 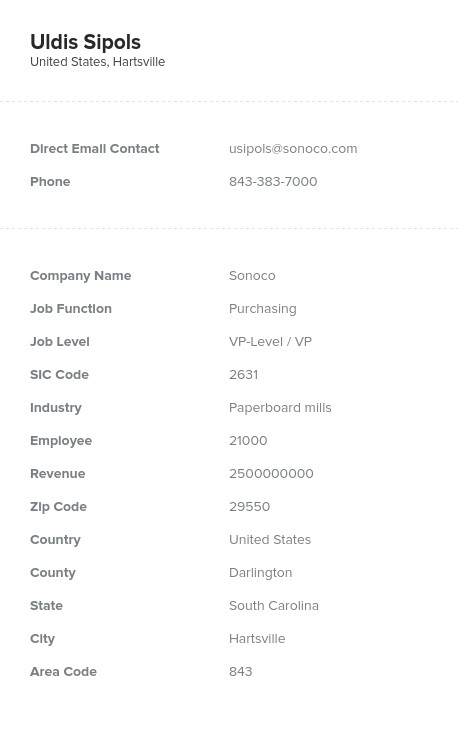 Lists from Bookyourdata.com have all of the accurate and human-verified contact information you need to reach those in charge, and this purchasing and procurement VP email list is no exception. Grab the real names, phone numbers, postal addresses, fax numbers, and emails of vice presidents of purchasing and procurement all at once by downloading this email list. Chief purchasing officers, vice presidents of purchasing/procurement, and those high-level leaders with the official job titles that come with purchasing power have all been consolidated here; unlike other ready-made lists organized by industry or department, this one targets only the kind of sales leads who need to make these large purchases on a daily basis. Buy and download our chiefs of purchasing email list now and start emailing leads who will purchase your company's products and services today.